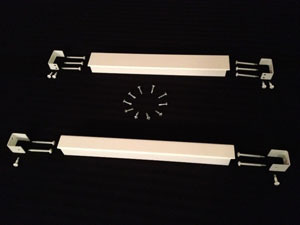 The Floating Header is specifically designed to give you the added support needed to hang your window treatments. DON'T TAKE THE RISK OF VOIDING YOUR WINDOW WARRANTY. THE FLOATING HEADER WILL ELIMINATE THE RISK OF VOIDING THE MANUFACTURERS WARRANTY BY NOT HAVING TO DRILL OR INSTALL INTO VINYL OR WOOD WINDOW FRAMES. 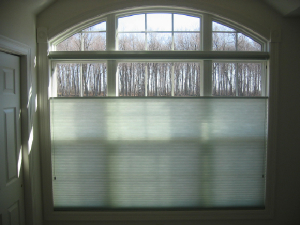 The Floating Header is the ultimate support system for your window treatments requiring center support or for window treatments with hidden brackets (or without side mount brackets). Each Floating Header is custom made for a precise fit for your unique application. Choose from: Light Duty, Medium Duty, Heavy Duty or the Super Duty system, depending on the strength you need.